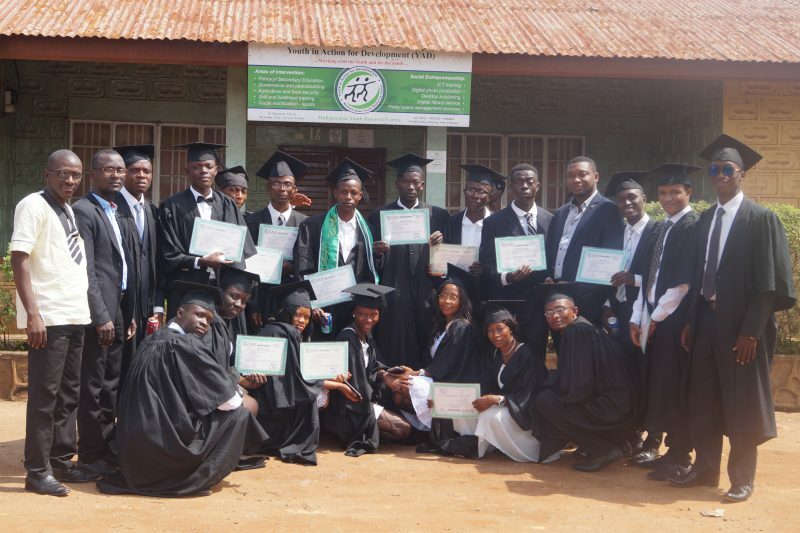 YAD organized today its long awaited certification and graduation ceremony in Kenema city. The ceremony which took place at the headquarters at Duawoh Street in Kenema city, attracted hundreds of participants from diverse sectors of the society including academicians, traditional, religious and political leaders, and respective families of the graduates. can never inherit education. Because it’s acquired through individual efforts and it becomes part and parcel of your very self and you shall be buried with it whenever you die” he stated. 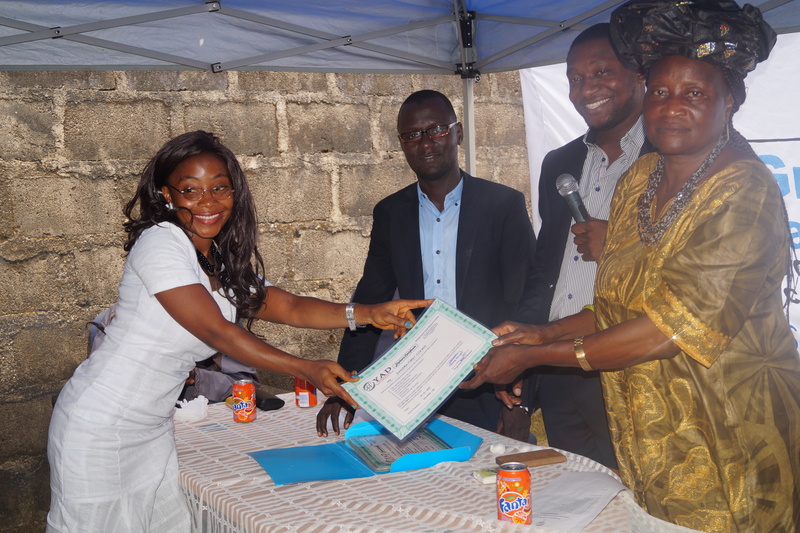 The ceremony targeted 25 students who have gone through basic ICT training at the Multipurpose Youth Resource Centre and are eligible to possess a diploma certificate in accordance with the basic professional requirements of the Sierra Leonean business environment. 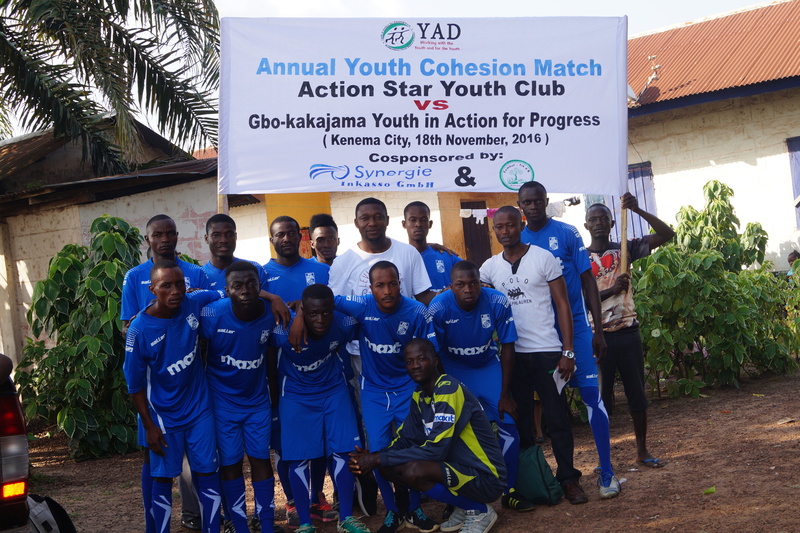 rganization’s annual Youth Cohesion Match which brought Action Star Youth Club (ASYC) and Gbo-kakajama Youth in Action for Progress (GYAP) into the pitch with volleyball for girls and football for boys. The two rival clubs peacefully locked horns for several hours at the Kenema Police Barracks Field in constant friendly mood. While the volleyball ended in favour of ASYC with 2 points, the football ended in favour of GYAP after ASYC ran out of luck during penalty kecks. 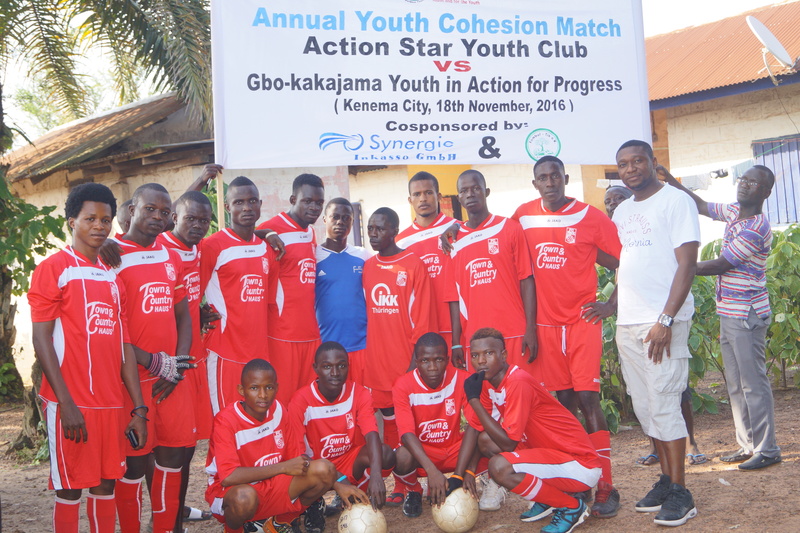 Civilizations (UNAOC)’s Youth Solidarity Fund in the year 2013 as a symbol of unity and peaceful coexistence of youth from diverse political, religious and ethnic backgrounds in Kenema city. The match is organized by YAD annually and this years’ event was funded by Synergie Inkasso GmbH and Fambul Tik e.V. which are based in Berlin, Germany.